Picture this: it’s your 18th wedding anniversary. You stand in the crowd with your stepchild, gleaming with pride as you watch your spouse collect his Marriage Diploma. You hold back tears as he hugs all his friends and excitedly tells them about his plans to leave the state and spend the next 40 years finding himself. In a couple of months, he’ll be gone. It’ll be just you and your 26 year old stepdaughter at home, drinking your morning coffee together and hoping your husband comes to visit for spring break. We all know that’s not how life works, so why do I see so many stepmoms putting the kids above their spouse like it’s the kids they’ve dedicated their companionship to forever? Is it because your relationship with your husband isn’t what it used to be, and you struggle to feel enough love for him anymore – but you love your kids unconditionally, so it’s easier to focus all your effort into nurturing your relationship with them instead? Is it because you are overwhelmed with guilt that they are growing up in a “broken” home, and feel the need to compensate for what they’ve been through by making them your top priority? Whatever the justification or good intent, you’re simply not doing the children any favors by putting them above yourself and their father. I could give you a binder full of reasons your marriage should be your number one priority – neglecting your spouse’s needs creates resentment and distance that leaves a dead marriage when the kids move out, focusing only on your children can result in dependency issues or a dysfunctional relationship with them as adults, etc. Your stepchildren already have a great example of a failed relationship – they were created by one. Now, they are desperately counting on you to show them how to do it right. The greatest gift you can give your stepchildren is not letting them pick what you do every weekend, or being there every single night to tuck them in. The best thing you can ever give them, the gift that will benefit them long after they move out, is the example of an amazing marriage. Don’t let them leave the house thinking that marriage is a joke that just falls apart, or that marriage means loving your kids but walking all over your spouse like a doormat. Show them a marriage that makes up for the hurt they’ve already witnessed – one that gives them faith in love. The next time that ball drops on New Year’s Eve, I urge you to kiss your husband first, right in front of his kids, and tell him how grateful you are for another year with him. THEN go bang pots and pans in the street with the kids. The next time an opportunity arises to use those two extra vacation days, don’t take the kids on another trip to Six Flags. Take them to their grandparents’, and spend a long weekend bonding with the man who brought those kids into your life in the first place. The next time you try to be super-stepmama by planning a fun filled Friday night, text your husband first and ask what he’s up for, how his work day has been, if anything in particular sounds good for dinner. Then plan a night around his needs instead of planning around the kids’ wants. I’m not saying you should neglect the children, and I don’t mean ignore their needs and only care about your husband’s. Love and care for the kids in your home like you always do. But also make a point to remember who will still be sitting next to you long after the kids are gone – a person you’re going to wish you took better care of if you spend the next decade or two putting him last. Never let anyone make you feel like putting your husband above his children (or your own children, which I also do!) is a bad thing. You and I both know you love your kids and will always do your best to support them and provide for them. What people on the outside say (like “I can’t believe they’re going on a trip and leaving the kids behind!”) is not a reflection of your worth as a parent, it is a reflection of their own insecurities. Don’t concern yourself with the insecurities of people who don’t understand your family dynamic. Confidently put your husband first for all the children in your home to see, and enjoy the peace it brings you down the road when they find someone to spend their life with who treats them the same way you treated their father. If you feel like this is a struggle you’ve been having, if you have a great relationship with your stepkids but find yourself wishing your marriage was stronger, start small and start today. When you see your husband next, let the kids entertain themselves for five minutes while you sit with him, hold his hand, and catch up. Or tell the kids you “call the first hug!” from Dad, and jump up to greet him with a big hug and kiss when he walks in the door. I challenge you to find a small way in the next 24 hours to show your husband he is your #1, and to do it right in front of his children. Give them the gift they really need from you – seeing you love their dad the most. P.S. Need help overcoming insecurities and forgetting about the opinions of others? Get rid of those second-wife insecurities once and for all! 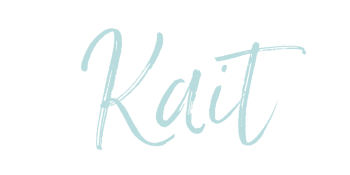 Kait is a wife, stepmom of one clever girl, and biological mom of one rambunctious boy. 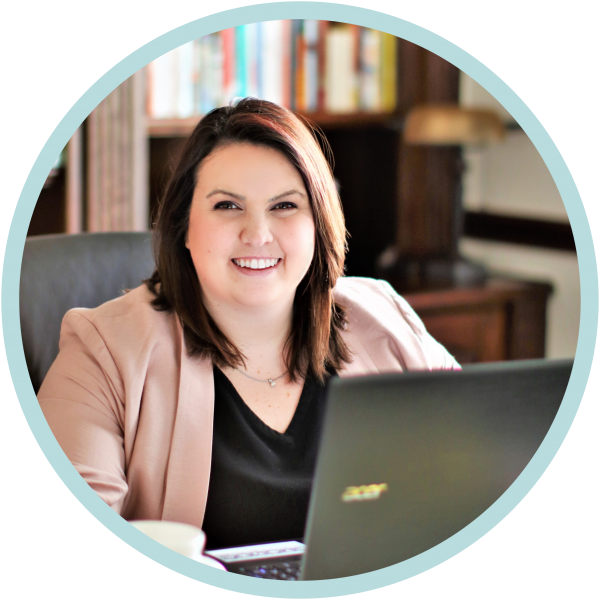 She is a Certified Life Coach and Psychology major who is passionate about helping others strengthen relationships. She is also passionate about cars, Thai curry, and writing lists.